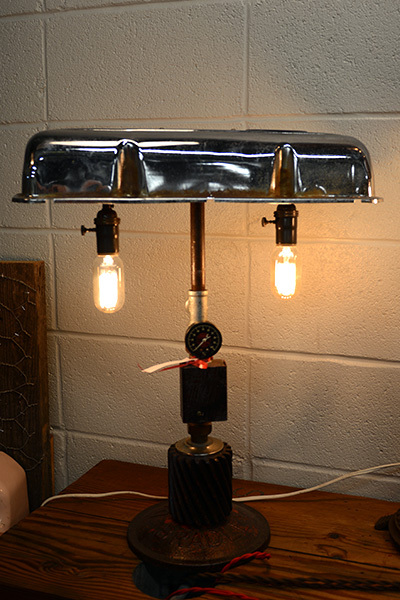 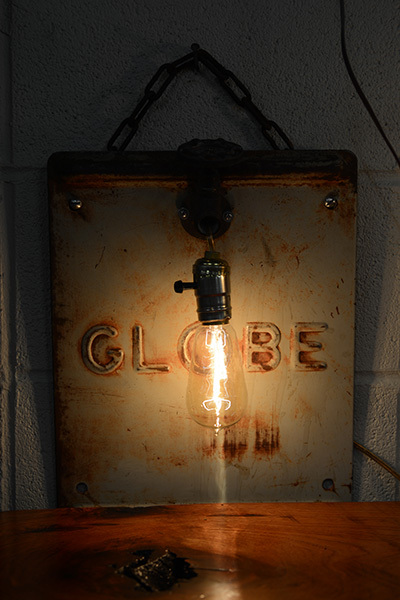 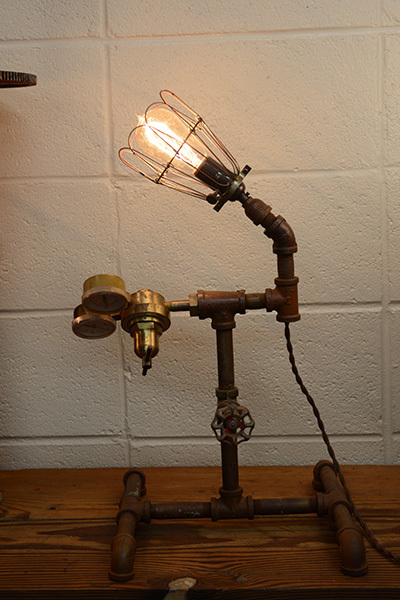 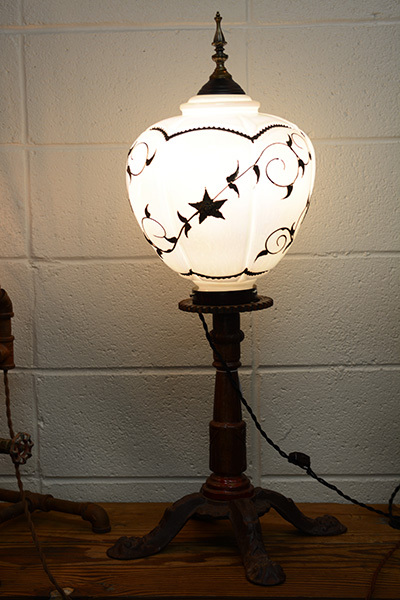 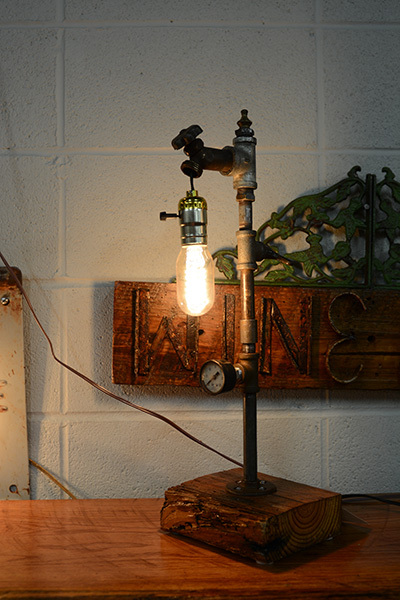 One of kind, gotta-have, knocking-it-out-of-the-ball-park, up-cycled outrageously creative lighting. 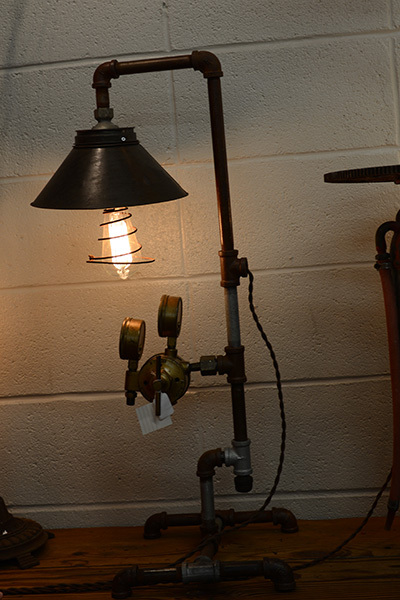 From pendant lights to lighted bars and everything in between. 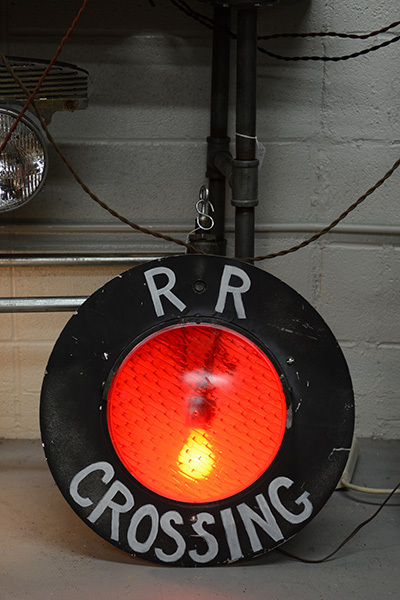 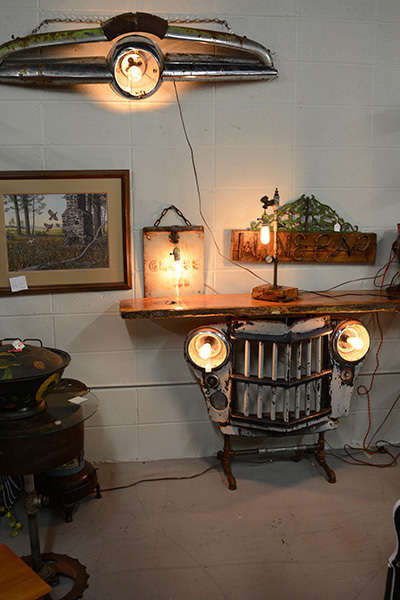 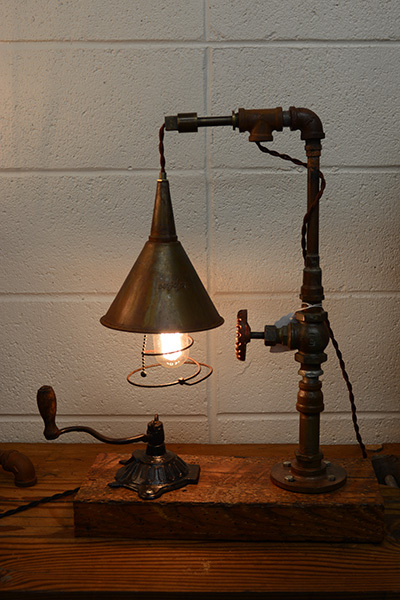 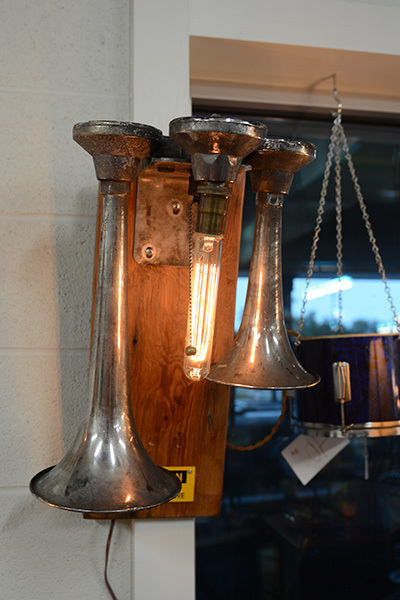 This local artist has a flair for blending antique everyday salvaged metal objects, such as car grills, fire extinguishers, gears, chains, pipes, etc.